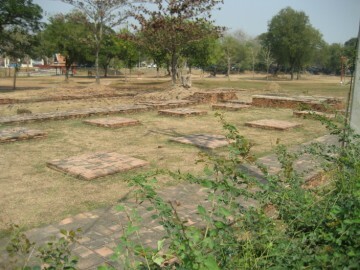 in the Historical Park of Ayutthaya in Pratu Chai sub-district. called Khlong Pak Tho). 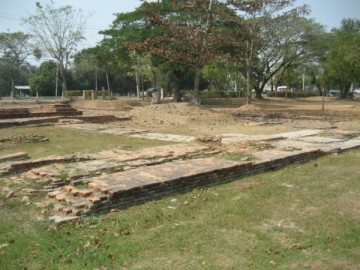 The monastery stood as thus near the Lam Hoei Bridge. 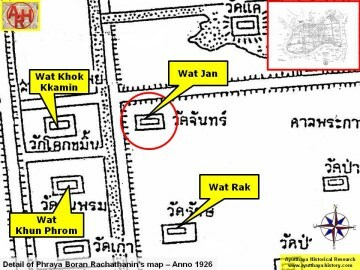 while on its south was Wat Rak (defunct). 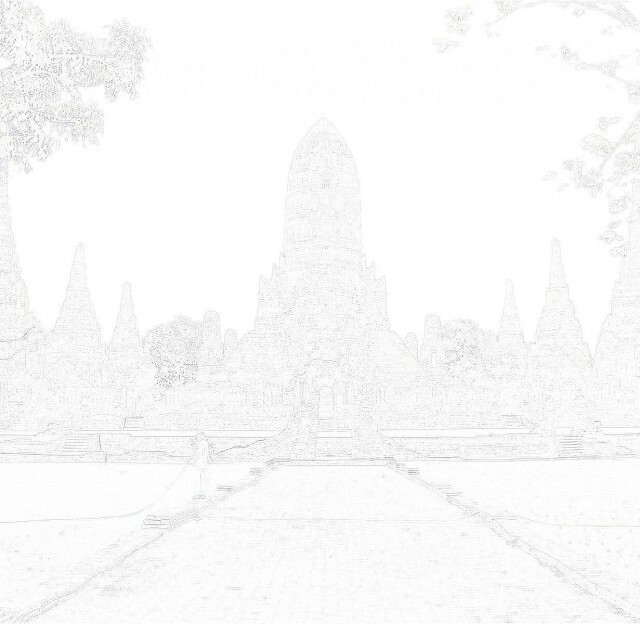 The Phra Khan shrine stood in the east. 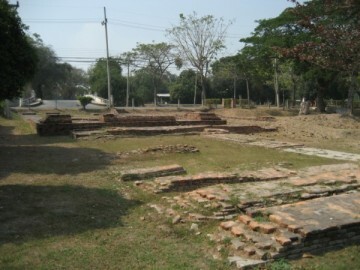 In situ, only some brick foundations of the monastic structure remains. 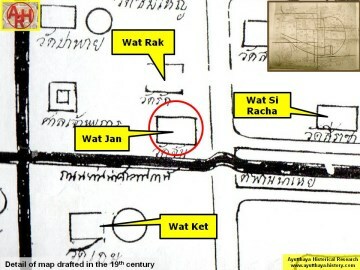 features also on a map drafted in the mid 19th century. 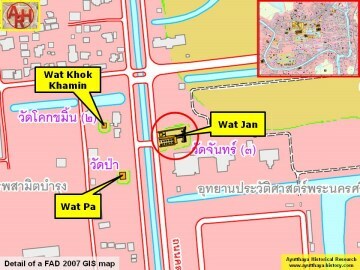 Wat Jan's historical background and period of construction are unknown. 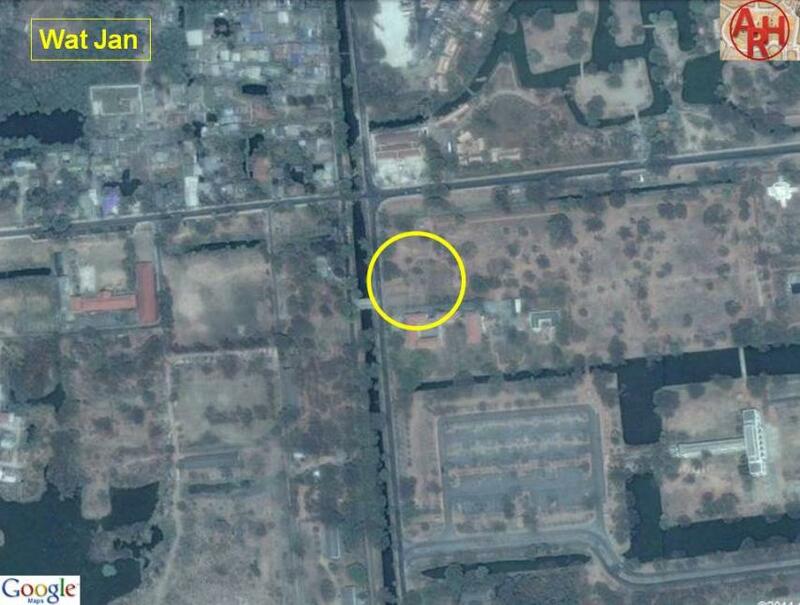 The site is located in Geo Coord: 14° 21' 3.31" N, 100° 33' 22.75" E.
(1) The denomination of Phraya Boran Rachathanin has here been followed. (2) Chan (Diospyros Packmanil - C. B. Clarke). A tall tree which bears yellow fruit. Vol 49.1 - 1961 - page 59.